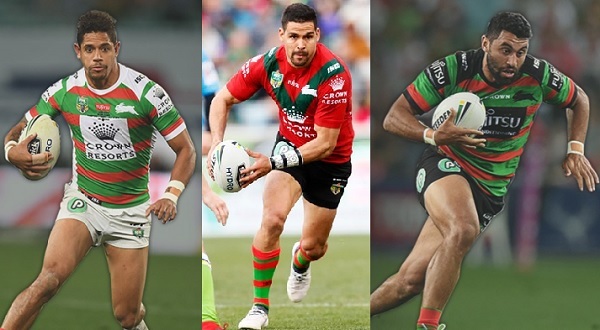 The South Sydney Rabbitohs will have three representatives in the Harvey Norman All Stars clash in Melbourne on February 15. Alex Johnston has been chosen on the bench and Cody Walker at five-eighth have been selected in the Indigenous team. The boys are very proud to represent their family heritage. Congratulations to both players. After a absence of 10 years the NZ Maori team makes a return and Dane Gagai who qualifies both both has decided to honour his NZ heritage, and has been selected on the wing. Congratulations. Indigenous captain Greg Inglis made himself unavialable while recovers from a pre-season knee injury. 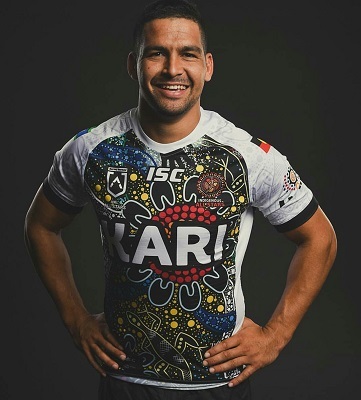 You can see the passion in his eyes when he’s on the field in Red and Green – and now Cody Walker will have the honour of not only representing his culture but also leading the Indigenous All Stars this Friday night when they take on the Kiwi Maori All Stars. Walker has had a meteoric rise to first-grade to say the least – after debuting at the tender age of 26 in Round 1 2016, he has established himself as one of the premiere five-eighths in the competition. Season 2018 was a breakout year for Walker, scoring 12 tries, creating 14 and piling on 19 line break assists as the side fell just one game short of the Grand Final. And now, in his first appearance for the Indigenous All Stars, he has been given the ‘c’ next to his name, something that General Manager of Football, Shane Richardson, says is no surprise. “I’m not really surprised to see him get the captaincy to be honest,” said Mr Richardson. “He’s a leader here at Redfern and he’s a mature and confident player now and he’ll certainly he leading around the side as he does with us. Club captain and former Indigenous All Stars captain Greg Inglis is thrilled for his Rabbitohs teammate to be given the captaincy honour. “Firstly, on being on selected for the Indigenous All Stars squad, on top to get the opportunity to captain the team.” While he has absolutely revelled on the field, it’s the maturity he has shown and developed off the field which is what Richardson believes has held him in good stead. “He’s taken on more of a leadership role with the team,” Mr Richardson explained. “He’s worked a lot closely with the young players and trying to help develop them, and he’s become a leader in the discussions regarding what the team wants to look like and the culture the team wants to create."